Saint Paul School of Theology Alumnus Capt. Jose Martinez received a top honor in the field of military chaplaincy. 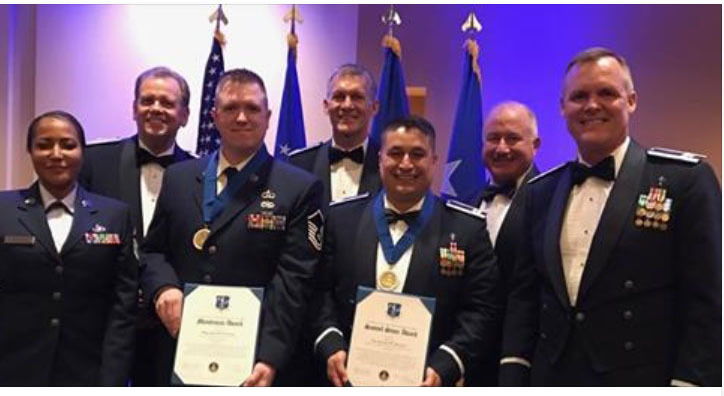 He ceremoniously accepted the Air National Guard Chaplain of the Year award, also known as the Samuel Stone Award. Martinez was accepted into the Air Force Chaplain Candidate Program in 2006, graduated from seminary in 2009, and went on to be an Air Force Chaplain assigned to the 139th U.S. Airlift Wing/Missouri Air National Guard in 2010. According to Tech. Sgt. 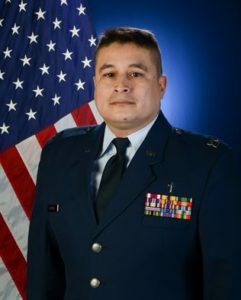 Theo Ramsey of the 139th Airlift Wing, Chaplain Martinez was one of the first Air National Guard chaplains to offer support to United States Air Forces in Europe – Air Forces Africa (USAFE-AFAFRICA) as an action officer, working at the command chaplain’s office. Involved with the planning of military operations that occur in Europe and Africa, Martinez helped ensure that all the wings in the area of responsibility had substantial religious support. As the acting functional area manager at the command chaplain’s office, Martinez helped create a plan for how the Air National Guard would interact with active duty Air Force units during a transition of command chaplains. As a civilian, Jose Martinez raised funds to help Haitian families in Kansas City directly affected by the destructive impact of Hurricane Andrew. The Saint Paul Community congratulates Capt. Jose Martinez for this honor and for his faithful leadership in the community and world.